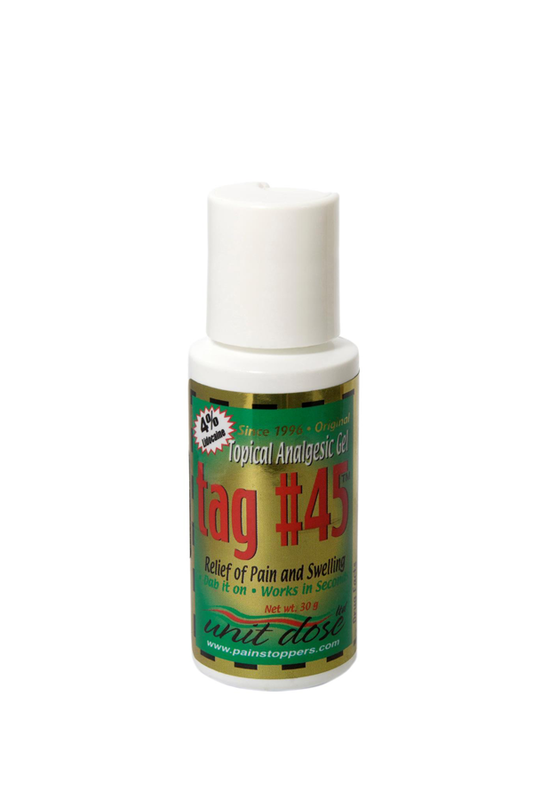 Tag #45 Gel has been one of the safest and most popular topical anesthetics for broken skin since 1998. Free of tetracaine, Tag controls pain, swelling and bleeding. To make sure you are getting the original, authentic Tag, and not a knock-off from Asia, check the bottom of the bottle. The text will be printed in a circle on the newer bottles. Insist on the real Tag #45, safe and effective since 1998!